"A few months ago when I returned from the war my life was looking pretty bleak. I was distraught and had no where to turn. 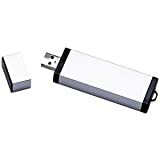 But then, from the heavens Busdrive created a 64GB jump drive..."
Supermouse, able to leap tall desktop in a single bound. 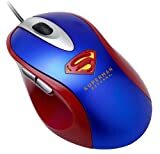 Its a bird, its a plane, its the coolest mouse for superman fans.